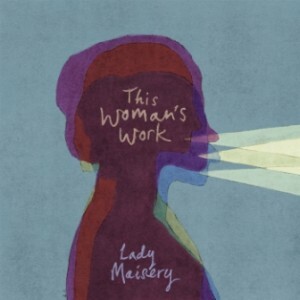 When Folk Witness went to see Lady Maisery in Aldershot a month or so ago, the breadth and depth of the trio’s new material made a big impression. So it’s great to hear that the group have released their cover of Kate Bush’s This Woman’s Work as a single. As a taster of Lady M’s forthcoming album, which is due in June, it’s a tantalising one. The harmonies of Hazel Askew, Hannah James and Rowan Rheingans are as central and distinctive as always, but Lady M seem to be making more of their instrumental talents this time round, and an apparently Scandinavian-inspired fiddle line helps drive the melody. What’s more, the single has been timed to coincide with International Women’s Day (March 8), which in turn kicks off Women’s History Month. So it’s appropriate and pleasing that all profits from the single will be donated to End Violence Against Women, a coalition that does some highly commendable lobbying work. Incidentally, Kate Bush seems to capture folkies’ imaginations in a way that only seems matched in the non-traddy world by Tom Waits. Here’s Jon Boden & the Remnant Kings’ great version of Hounds of Love, just because.